I had the pleasure of visiting the Esquivel showroom last week. Besides George and his staff being some of the nicest people I've met in a while, George makes some pretty nice hand made shoes. Out of the whole collection, the natural lace-ups were by far my favorites. He had a pair sitting out on the shelf, plus had a pair on. 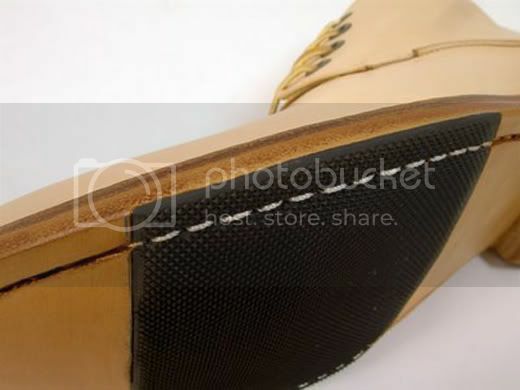 The ones he had on had been lovingly worn, and I'm guessing looked better with every wear. Like the Il Bisonte natural wallet I posted about a while back, the natural leather starts to wear like a pair of raw denim. The more you love them, the better they look and feel. 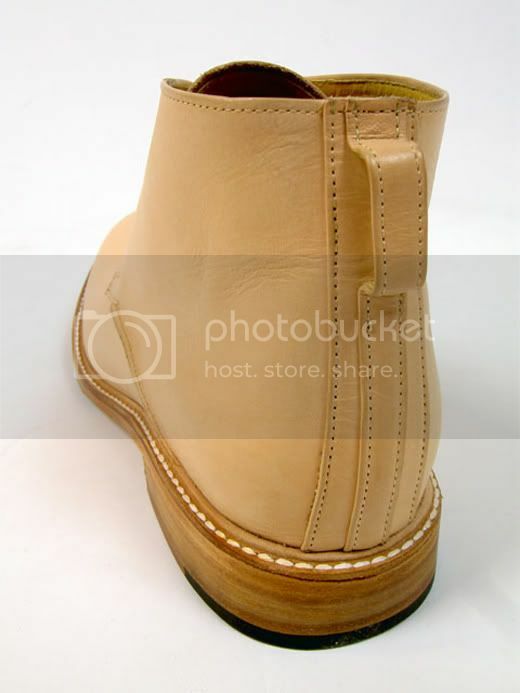 After the picture below, are more pictures of the natural leather shoe and boot Esquivel did with Blackbird. Although nice in their own way, the original one below just looks better. 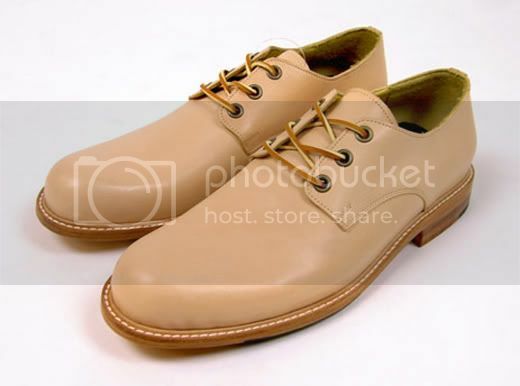 Give me a slimmer width and no metals eyelets anyday.